On her 3rd album Berlin’s GOLDEN DISKÓ SHIP enlargens her pop / experimental sound cosmos for a new component: BASS. In consequence, “Imaginary Boys” was mixed by SCHNEIDER TM and RASHAD BECKER took care of mastering and the vinyl cut. 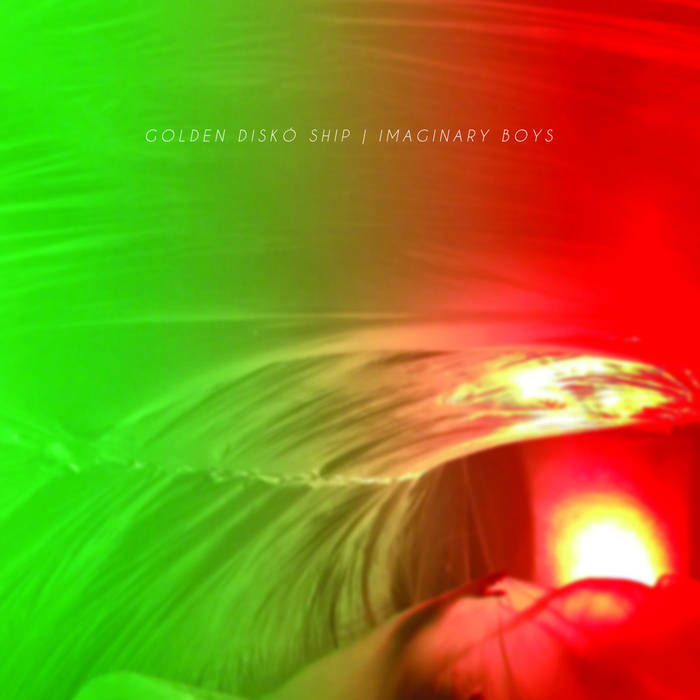 “Imaginary Boys” sets a new landmark in the work of THERESA STROETGES alias GOLDEN DISKÓ SHIP. The album was conceived during her stay in Lisbon in the summer of 2015 where the multi-instrumentalist found plenty of inspiration in traditional and experimental music. These elements left their traces not only as field recordings but also led the classically trained musician to re-consider the use of her former main instrument viola which is more present than before. One dominant compositional element of “Imaginary Boys” is a deliberate use of time, influenced by the perception of electronic music and techno. While songs like the euphoric “Pacific Trash Vortex” or “Swarm Of Bees” come to the point without any deviation, tracks like “Sundrunk” and “Lifelike Showdown” take their time to develop tense atmospheres of psychedelic intensity. A second characteristic that is accentuated more than on her previous albums “Prehistoric Ghost Party” (Klangbad, 2012) and “Invisible Bonfire” (Spezialmaterial, 2014) is BASS as an aesthetic constant that connects the individual songs / tracks. This way GOLDEN DISKÓ SHIP’s sound cosmos, right from the beginning an open and broadly framed matter ignoring boundaries between pop and experimentation, gains a clearly audible additional depth. The choice of electronic artist SCHNEIDER TM for mixing and D&M’s studio wizard RASHAD BECKER for mastering / vinyl cut is not only a highly coherent and consequent decision but gives the seven tracks on “Imaginary Boys” the best possible finishing.